Texas Trademark Lawyer Tamera Bennett – Is Holland's (cafe) Too Close To Harrods (luxury department store)? Is Holland's (cafe) Too Close To Harrods (luxury department store)? 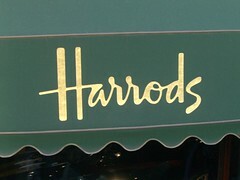 Harrods, the luxury London based department store, sent a cease and desist letter to Holland's Cafe in Essex, England. The cafe, which opened four months ago, is owned by Mr. Nigel Holland. This does seem a bit of a stretch for trademark infringement. I am not seeing a basis for a likelihood of consumer confusion. Under Texas law, Mr. Holland would most likely be free and clear to use his own name to operate his business.